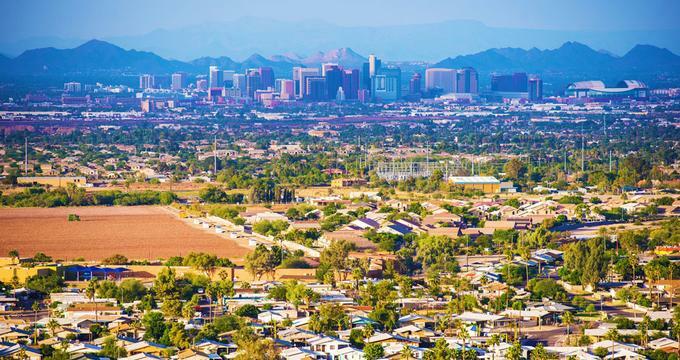 Phoenix, AZ, is famous for its beautiful desert scenery, unique wedding venues and a diverse choice of things to see and do. Visit the city’s art, history and science museums, taste delicious cuisine, explore free attractions, and go on a scenic hike. Music lovers can head to the Musical Instrument Museum and view Elvis Presley’s and John Lennon’s instruments. Fun things to do in Phoenix, Arizona for families include the Phoenix Zoo, the Arizona Science Center and the Children's Museum of Phoenix. Founded in 1959, the Phoenix Art Museum has been a favorite institution of modern art and learning for over 55 years, and it is the largest art museum in the Southwestern United States today. The museum houses a variety of permanent collections that span several different genres, including American, Asian, European, and Latin American art, as well as traveling fashion and photography exhibitions. The museums presents a range of vibrant festivals and live performances, educational programs, and art films throughout the year that aim to enlighten, inspire, and stimulate an interest in the arts. 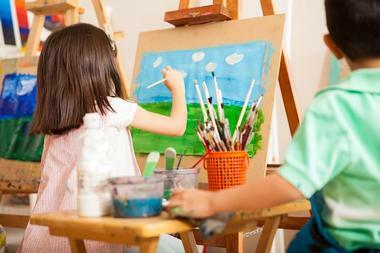 One of the top Phoenix attractions, the museum also houses an interactive children’s gallery for future artists. Relax in the beautifully landscaped Dorrance Sculpture Garden, dine at the Museum's fine dining restaurant Palette, or shop at the Modern Museum Store. The Musical Instrument Museum (MIM) is the world’s only global musical instrument museum, and it features an impressive collection of more than 15,000 musical instruments and artifacts from around the world. Instruments are displayed in high-end displays that are enhanced by state-of-the-art audio and video technologies, allowing visitors to hear and observe the instruments being played in their original contexts. If you are looking for best things to do in Phoenix for music lovers, this is a great place to visit. Visitors can view instruments from iconic musicians such as Elvis Presley, John Lennon, and Carlos Santana in the Artists Gallery, as well as multiple displays showcasing different types of ethnic, folk, and tribal music. 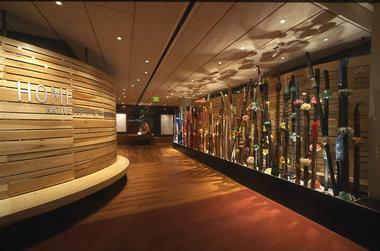 The Museum also features an interactive “Experience Gallery,” where visitors can play a variety of instruments from around the world and experience the magic of music for themselves. Home to roaring Sumatran tigers, awe-inspiring Asian elephants, and towering Savannah giraffes, the Phoenix Zoo is one of the city’s most popular attractions. One of the nation’s largest privately owned zoos, the animal park features over 1,400 animals, including more than 30 different endangered species from around the world. 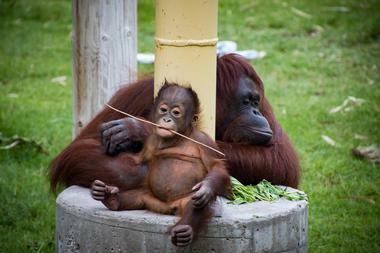 The zoo also has a number of breeding programs for various species. Fascinating habitats and exhibits include the Africa Trail, which boasts African wild dogs, African lions, white rhino, and Arabian Oryx and the Tropics Trail, which is packed with Asian elephants, giant tortoises, iguanas and ring-tailed lemurs. Enjoy daily animals encounters in the Monkey Village or the Red Barn, get soaked at the Leapin’ Lagoon, or experience the wild in 4-D at the state-of-the-art theater. Founded in 1929 by Dwight and Maie Heard, the Heard Museum is one of the top Phoenix tourist attractions and aims to educate and promote greater understanding of the indigenous peoples of the Americas, particularly American Indian tribes and other cultures of the Southwest. In order to accomplish this goal, the museum exhibits focus on their arts, heritage, and way of life. The Museum uses their extensive range of unrivaled collections, innovative programs, world-class exhibitions, and vibrant festivals to respectfully and accurately portray Native arts and cultures and showcase personal perspectives of this ancient and historical culture. A visit to the Heard Museum includes a journey through 12 exhibition galleries, a beautifully manicured outdoor sculpture garden, a contemporary art gallery, and trading-post style shopping store, a lively café, and free guided tours. 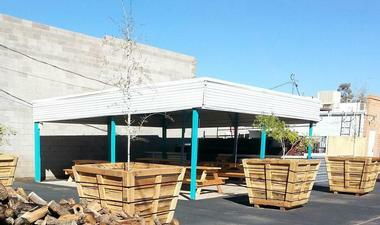 More weekend destinations: 23 Best Things to Do in Mesa. Located in downtown Phoenix in the Heritage and Science Park, the Arizona Science Center is a world-renowned center and institution of learning that emphasizes exploration, innovation, and collaboration of the sciences. Established in 1980, the Center has grown to become one of the city’s most popular attractions, welcoming over half a million guests annually. The Center features a variety of hands-on and interactive exhibits, displays, and exploratory experiences spread over 164,000 square feet of space. The Center appeals to visitors of all ages, and the fantastic to-the-moon and beyond presentation in the Dorrance Planetarium is particularly popular. If you are wondering what to do in Phoenix with kids, this is a great place to visit. The Center also offers a range of educational and community outreach programs, classes and camps, fields trips, and immersive shows in the 5-story state-of-the-art IMAX theater. Taste It Tours ventures to some of the city’s best culinary establishments and introduce visitors to the local food scene on a neighborhood level, giving them a chance to try some of the best bites in town. Owned and run by local Scottsdalian Jessica Combest, each tour visits 4-5 hidden gems that highlight the Downtown Phoenix and Old Town Scottsdale’s favorite culinary hotspots, revealing the city as a food mecca in the eyes of locals and visitors alike. Tours also delve into the heritage of the city, showcasing its rich history and beautiful architecture, as well as the finest culinary and cultural establishments. Expert guides will ensure you feel right at home. Tours include signature cocktail (alcoholic and non-alcoholic) pairings in the regular price of the ticket, plenty of tasty food samplings, and unique culinary insights (480-274-3569). Home to Arizona's first Major League Baseball team and 2001 World Champions, the Arizona Diamondbacks, Chase Field is an impressive sports stadium with a unique retractable roof that hosts a variety of major sporting and other large-scale events. Covering 1,300,000 square feet with six different levels, the field can be configured to accommodate a range of sports other than baseball, including football, soccer, and basketball. The best way to really get to know this incredible structure is by taking a private guided tour, which includes the following highlights – the Rotunda with World Series Trophy, the pool in right-center field, the picnic pavilion and private suites, the Press Box, a visit to field-level, the dugout and the batting tunnel, and the visitor’s clubhouse. Tours are offered year-round and last approximately 45 minutes. The Children’s Museum of Phoenix is a fun-filled wonderland of imagination, inspiration, and creativity for children up to the age of 10. The Museum is filled with over 300 interactive, hands-on, touch-and-tell and exploratory exhibits, displays, and other experiences. These exhibits are spread over three floors and 48,000 square feet of space in the historic Monroe School Building in downtown Phoenix. Designed to arouse curiosity, engage minds and muscles, and encourage discovery, the museum boasts a variety of exhibits, some of which include “Art Studio- Creative Expression,” “Book Loft,” “Building Big,” and “Desert Delights.” The museum also offers a diverse range of educational programs and classes that cover areas from math and science to yoga and art. Little Miss BBQ is a quirky eatery with a retro vibe that specializes in Central Texas-style barbecue, smoked meat dishes, and traditional sides. Smoked and slow-cooked over Arizona oak and pecan wood and served meat market-style, freshly grilled meats and homemade sausages are weighed and brought out on butcher paper with pickles, onions, and homemade white bread. Meats on the menu include brisket, pork spare ribs and pulled pork, turkey breast, pastrami, and house made sausage, with sides of jalapeño cheddar grits, potato salad, coleslaw, and beans adding the finishing touch. Founded in 1947 as a part-time orchestra for the city of Phoenix, the Phoenix Symphony has since grown into Arizona's largest performing arts organization and singular full-time symphony orchestra. With the aim of sharing, educating, and inspiring through the joy of music, the Symphony offers high quality music experiences in the form of seasonal concerts, shows, and fundraising events. If you are looking for things to do in Phoenix today, check the Phoenix Symphony performance schedule. Some of their most popular event include Parties of Note and the Savor the Symphony Women's Luncheon. Influenced by the rich history of America’s railroad system, Southern Rail Restaurant prides itself on its classic Southern cuisine infused with regional flavors from the coastal Carolinas of “low-country,” an excellent wine and beverage program, and warm and welcoming hospitality. Housed in a modern mixed-use community space at the Newton, the go-to spot for reading, eating, gathering, and shopping of locals and visitors alike. If you are looking for unique date night ideas in Phoenix, this is a great restaurant to try. The menu offers a gastronomical journey through the South with slow-smoke barbecue and fresh seafood dishes, and vibrant Cajun and Creole influences are evident throughout the menu. The cuisine is accompanied by an excellent selection of local wines, craft beers, and boutique spirits, and guests are served in a laid-back, relaxed environment. Pueblo Grande Museum and Archaeological Park is an ancient archeological site situated in downtown Phoenix near the Sky Harbor International Airport. A product of the Hohokam culture, the site is the largest preserved archeological site in the city and is a National Historic Landmark and Phoenix Point of Pride. Also located on the 1,500-year-old archeological site is the Pueblo Grande Museum, which features a variety of galleries that showcase items and artifacts from the prehistoric Hohokam archeological village site. The museum also houses exhibits that present various facets of archeology, southwest cultures, and Arizona history and has an interactive gallery for children to learn about the science of archeology. If you are looking for things to do in Phoenix with kids, this is a great place to visit. The site and museum are accessible by the Sky Train and the Light Rail. 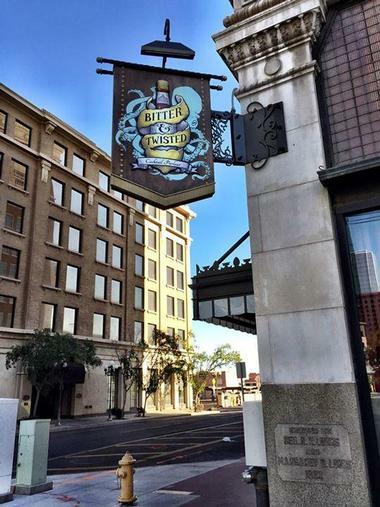 Bitter and Twisted Cocktail Parlor is a stylish cocktail lounge and eatery located in the historic Luhrs Building, which once served as the former prohibition headquarters of Arizona. Boasting a relaxed and welcoming ambiance, this popular gathering place offers a globally inspired collection of handcrafted cocktails, independent spirits, bitters, and tonics, as well as an outstanding selection of fine wines and craft beers. The eclectic, evolving menu features small plates and bar food, while a late-night menu offers the perfect solution for post-party cravings – think southern-fried chicken and betelnut pork belly served with thick-cut potato chips and thick salsa verde. 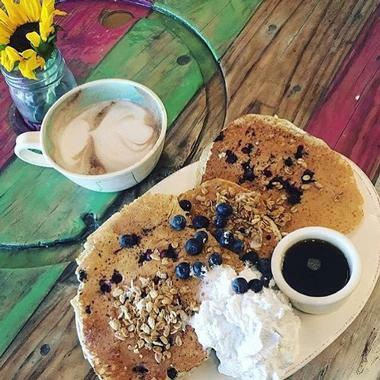 The Pomegranate Cafe is a popular bright, spacious neighborhood vegan/vegetarian restaurant on Chandler Boulevard in Phoenix. It proves once and for all that healthy does not have to mean boring. Almost everything is organic, locally sourced and seasonal. Many dishes are raw or gluten-free. Food and drinks are made from scratch, juices are fresh, coffee is fair-trade, and pastries and breads are made in-house. Everything looks wonderful and tastes even better. Pomegranate is one place where you can have the most delicious desserts, totally guilt-free. The restaurant is open all day but you are free to decide what is for breakfast, brunch, lunch or dinner. Breakfast burrito for dinner? Why not. Cake too? Absolutely. They are so healthy even your mom would not object – made with ancient grains, nuts, fruits, seeds, superfoods and natural sweetener. The Penske Racing Museum is dedicated to displaying the history of automobile racing and is home to an outstanding collection of cars, trophies, and racing memorabilia chronicling the career of the Penske Racing dynasty. Boasting over 40 years of racing experience and over 300 major race wins, including 15 Indianapolis 500-mile race victories, Penske Racing is a world-renowned name in the sport, and the museum offers a behind-the-scenes look at the brand’s rise to fame. Located in the Scottsdale 101 Auto Collection, the museum features a variety of racing-related objects, including replicas of cars that won major races, including the 1963 Riverside 250 and 2009 Indy 500. The museum also has a boutique store where racing merchandise and memorabilia can be purchased and a casual café. 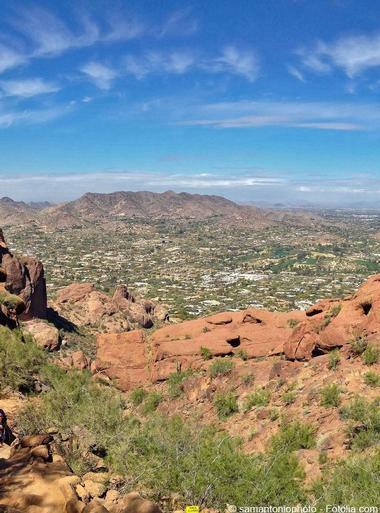 Situated in the Camelback Mountain Echo Canyon Recreation Area between Arcadia, Phoenix, and the town of Paradise Valley, Camelback Mountain is popular recreation destination for hiking and rock climbing. Named for its shape, which resembles the hump and head of a kneeling camel, the mountain is home to a diverse range of fauna and flora, including rabbits, snakes, lizards, and a variety of birds. The mountain boasts two popular hiking trails that lead to the summit, as well as much other smaller hiking, mountain biking, and walking trails that can be enjoyed during the summer months. 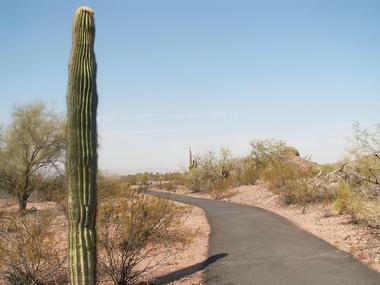 You may also like the Desert Botanical Garden which was featured in 25 Best Botanical Gardens to Visit on Your Romantic Weekend Getaway.